This is perfect for any venue! It is a low level castle and will fit in almost any hall! The designs on the front can be changed to any theme. 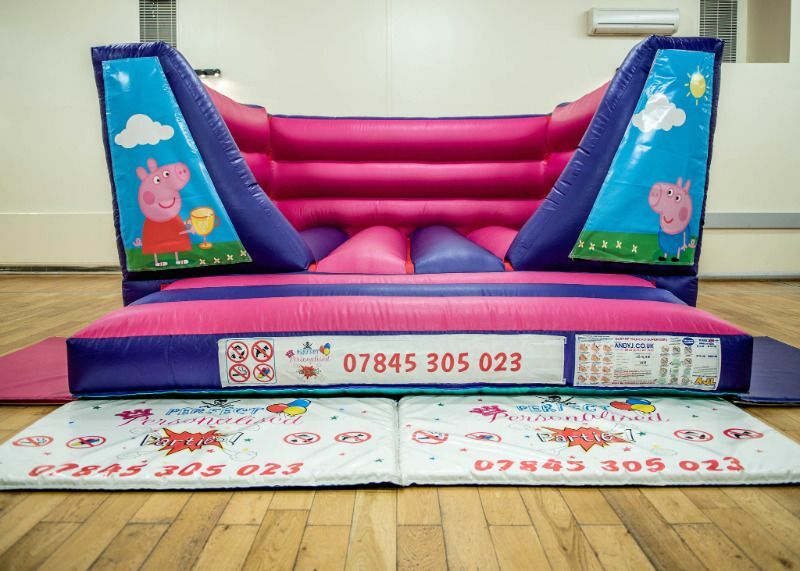 This goes great with our pink/purple softplay too.